Experts in offensive magic, Black Mages have long been considered the best spike damage dealers in the game. While other damage dealers have to get in close to inflict pain on the enemy, Black Mages have the abilities to nuke or enfeeble their foes from afar. 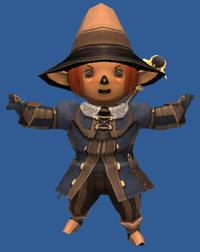 Since the release of Abyssea, Black Mages are in demand once again. By defeating an enemy with a spell in Abyssea, the black mage can induce an azure aura, which gives the chance of a chest granting a time extension of 10 minutes to the time that the alliance is allowed to stay in Abyssea. Elemental Seal 15 00:01:00 00:10:00 Increases the accuracy of the next spell cast. Mana Wall 76 00:05:00 00:10:00 Allows you to take damage with MP. Clear Mind I 15 Base HMP becomes 15. Conserve MP I 20 Occasionally decreases MP cost for spells. Clear Mind II 30 Base HMP becomes 18. Clear Mind III 45 Base HMP becomes 21. Magic Burst Bonus I 45 Improves magic burst damage. Elemental Celerity I 50 Quickens elemental magic spellcasting. Magic Burst Bonus II 58 Improves magic burst damage. Clear Mind IV 60 Base HMP becomes 24. Magic Burst Bonus III 71 Improves magic burst damage. Clear Mind V 75 Base HMP becomes 27. Magic Burst Bonus IV 84 Improves magic burst damage. Occult Acumen 85 Grants bonus TP when dealing damage with elemental or dark magic. Elemental Celerity II 90 Quickens elemental magic spellcasting. Manafont 1 60s 2hrs Ability to cast spells at a cost of 0 MP. Prevents spell interruption from melee attacks. Spells are magical effects cast by the player at the cost of MP or reagents with a multitude of results. Beneficial spells can be cast on party members to boost stats or restore health and damage dealing spells can be cast on mobs with devastating results. Black mages may want to check out The Elemental Map. 1.5 6.5 Deals minor earth damage to target. 1 5 Causes minor poison damage over time to target. 2 10 Blinds the target, reducing his attack hit percentage. 2 8 Deals minor water damage to target. 2 40 Roots the target in place so he can't move. 2 9 Deals minor wind damage to target. 3 10 Attacking the user will cause minor fire damage to the melee attacker. 1.5 5 Does minor damage over time and decreases target's attack. 3 60 Steals HP from the enemy. Cannot be used against the undead. Can be used at full HP. 2 10 Deals minor fire damage to target. 2.5 11 Deals minor earth damage to targets in vicinity. 2.5 10 Causes thunder DoT and decreases target's mind stat. 4 10 Transports caster to home point. 2.5 11.5 Deals minor ice damage to target. 2.5 10 Causes earth DoT and decreases the target's dexterity. 3 12 Deals minor water attack to targets in vicinity. 3 10 Covers you with ice spikes. Enemies that hit you take magical ice damage and can become paralyzed. 2.5 30 Puts the target to sleep for 60s if unresisted. 2.5 10 Causes wind DoT and decreases target's vitality. 3 13 Deals minor lightning damage to target. 2.5 10 Causes ice DoT and reduces the target's agility. 3 13.5 Deals wind damage to targets in vicinity. 2 10 Causes poison DoT to targets in vicinity. 2.5 10 Causes fire DoT and decreases the target's intelligence. 3 60 Absorbs mana points from the target and adds them to casters'. 3 10 Teleports a corpse to the caster's location. 3 14.5 Deals earth damage to target. 2.5 10 Causes water DoT and reduces the target's strength. 3.5 15 Deals fire damage to targets in vicinity. 15 60 Transports party members within area of effect out of a dungeon. 3 10 Covers you with spikes. Enemies that hit you take magical thunder damage and can become stunned. 3 30 Area sleep spell, will last for 60 seconds if unresisted. 4 16.5 Deals ice damage to targets in vicinity. 4 17 Deals wind damage to target. 1.5 5 DoT spell which lowers targets attack, and slowly reduces HP. Overwrites Dia. 4 18 Deals lightning damage to targets in vicinity. 4 28.5 Deals fire damage to target. 4.5 19 Deals earth damage to targets in vicinity. 5 10 Transports target party member to their home point. 3 30 Puts target to sleep for 90 seconds if unresisted. Overwrites sleep I. 4.5 20 Deals ice damage to target. 1 5 Causes poison damage over time. 4.5 20.5 Deals water damage to targets in vicinity. 0.5 45 Temporarily stops target. 5 21 Deals thunder damage to target. 5 22 Deals wind attack to targets in vicinity. 18 41 Powerful ice attack, lowers targets resistance to fire. 5 22.5 Deals earth damage to target. 18 42 Deals powerful wind damage, lowers targets' resistance to ice. 5 23 Deals area fire attack. 18 43 Deals powerful earth damage, lowers targets' resistance to wind. Retrace 55 N/A N/A N/A N/A N/A Transports qualified target party member to their nation of allegiance in the past. 5 24 Deals water damage to target. 3.5 45 Area sleep II spell, if unresisted will last 90 seconds. 18 43 Powerful lightning damage, lowers targets' resistance to earth. 5.5 24.5 Deals ice damage to targets in vicinity. 19 43 Deals powerful water damage, lowers targets' resistance to lightning. 6 25 Deals wind damage to target. 19 44 Deals powerful fire damage, lowers targets' resistance to water. 6 26 Deals thunder damage to targets in vicinity. 6 26.5 Deals fire damage to target. 6 27 Deals powerful earth damage to targets in vicinity. 6.25 27.75 Deals ice damage to target. 6.5 28.5 Deals powerful water damage to targets in vicinity. 6.75 26.25 Deals lightning damage to target. 6.75 29.75 Deals powerful wind damage to targets in vicinity. 7 30.75 Deals powerful earth damage to target. 7.25 31.5 Deals powerful fire damage to targets in vicinity. 7.25 36 Deals powerful water damage to target. 7.5 32.75 Deals powerful ice damage to targets in vicinity. 7.5 33.25 Deals powerful wind damage to target. 8 34.75 Deals powerful fire damage to target. 7.75 34 Deals powerful lightning damage to targets in vicinity. 8.25 36 Deals powerful ice damage to target. 8.5 37.25 Deals powerful lightning damage to target. 10 90 Deals very powerful lightning damage to target, lowers resistance to earth. 10 90 Deals very powerful fire damage to target, lowers resistance to water. 10 90 Deals very powerful water damage to target, lowers resistance to lightning. 10 90 Deals very powerful ice damage to target, lowers resistance to fire. 10 90 Deals very powerful wind damage to target, lowers resistance to ice. 10 90 Deals very powerful earth damage to target, lowers resistance to wind. 10 37 Deals earth damage to an enemy. 10 39 Deals water damage to an enemy. 10 45 Deals earth damage to enemies within area of effect. Successive use enhances spell potency. 10 37 Deals wind damage to an enemy. 8 75 Steals an enemy's MP. Ineffective against undead. 10 45 Deals water damage to enemies within area of effect. Successive use enhances spell potency. 4 30 Petrifies an enemy, preventing it from acting. 9.75 42.75 Deals fire damage to an enemy. 7.5 47.5 Deals wind damage to enemies within area of effect. Successive use enhances spell potency. 10 44 Deals ice damage to an enemy. 7.75 48.75 Deals wind damage to enemies within area of effect. Successive use enhances spell potency. Elemental Seal Recast Reduces recast timer by 20 seconds per upgrade. Fire Magic Potency Adds 2 potency per upgrade. Ice Magic Potency Adds 2 potency per upgrade. Wind Magic Potency Adds 2 potency per upgrade. Earth Magic Potency Adds 2 potency per upgrade. Lightning Magic Potency Adds 2 potency per upgrade. Water Magic Potency Adds 2 potency per upgrade. Flare II Deals Fire elemental damage and lowers resistance to Water. Additional merits add 5 Magic Accuracy and 3 Magic Burst damage per upgrade. Freeze II Deals Ice elemental damage and lowers resistance to Fire. Additional merits add 5 Magic Accuracy and 3 Magic Burst damage per upgrade. Tornado II Deals Wind elemental damage and lowers resistance to Ice. Additional merits add 5 Magic Accuracy and 3 Magic Burst damage per upgrade. Burst II Deals Lightning elemental damage and lowers resistance to Earth. Additional merits add 5 Magic Accuracy and 3 Magic Burst damage per upgrade. Quake II Deals Earth elemental damage and lowers resistance to Wind. Additional merits add 5 Magic Accuracy and 3 Magic Burst damage per upgrade. Flood II Deals Water elemental damage and lowers resistance to Lightning. Additional merits add 5 Magic Accuracy and 3 Magic Burst damage per upgrade. This page last modified 2011-03-28 14:00:01.